For the next two weeks, we’ll be exploring the bright green, vitamin C-packed world of kiwifruit (a.k.a kiwi) (a.k.a. Chinese gooseberries) (P.S. does anyone even call them Chinese gooseberries?) 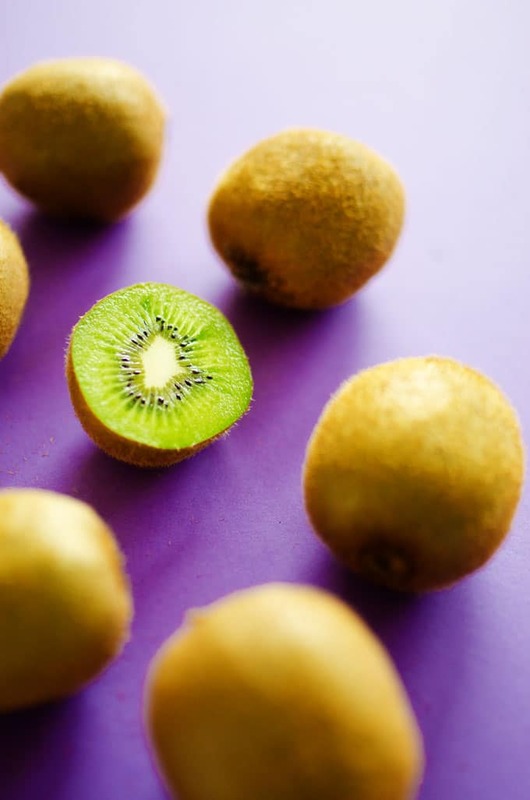 Native to China, these peculiar fruits were first commercially grown in New Zealand, where they picked up the name “Kiwifruit”, and have since made their way around the globe and stampeded their way into my kitchen for this week’s ingredient spotlight. 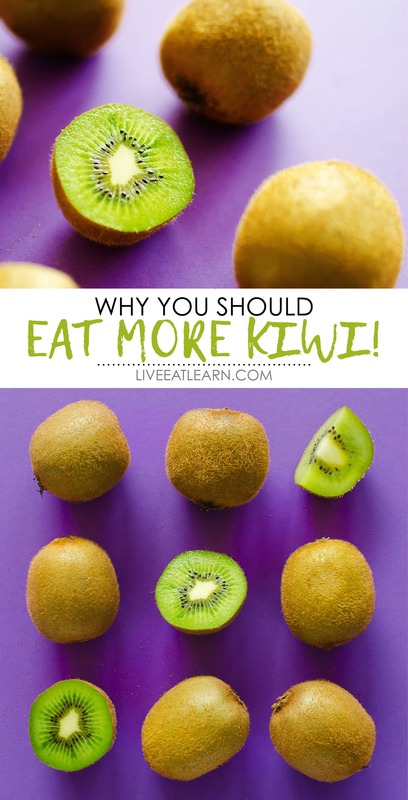 Kiwis are absolutely packed with vitamin C (even more than an orange!) They’re also pretty acidic, making them a unique cooking ingredient for their ability to tenderize and digest proteins. This week we’ll be making a few sweet things, but also a savory kiwi infused dish that I’m so in love with and can’t wait to share (hint: TACOS). 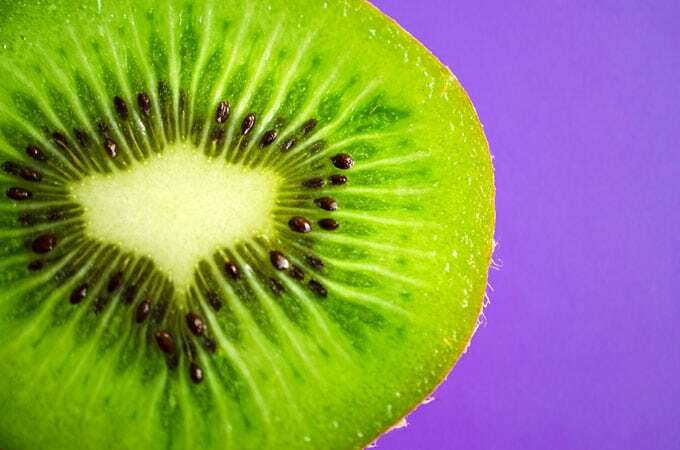 Read on for all the kiwifruit learns, and stay tuned for the recipes later this week! 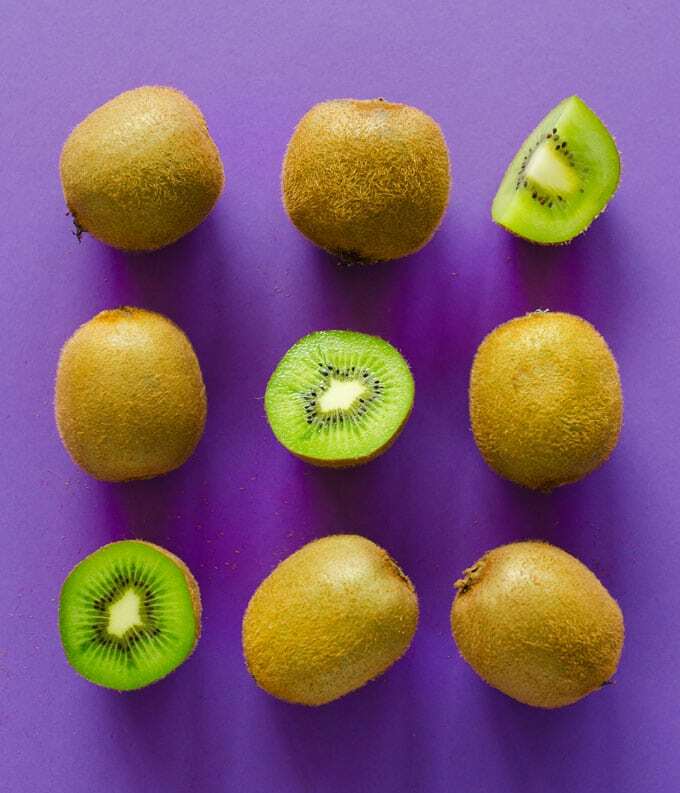 Fuzzy kiwis: This family of kiwis includes the variety you’re probably most used to eating, being about the size of a large egg with a fuzzy brown exterior and bright green fruit. Kiwi berries: These are the size of a grape, with a fuzzless, smooth skin and the same bright green interior. Choose fragrant, slightly soft fruits. Harder fruits will be more astringent and sour. Kiwis will continue to ripen after you buy them, so if you want to ripen them faster, store them in a paper bag at room temperature. To slow down ripening, store your kiwifruit in the fridge. 237% DV of Vitamin C: A water-soluble vitamin that acts as an antioxidant to fight against potentially damaging free radicals (molecules with unshared electrons that float around wreaking havoc) and an important cofactor in collagen synthesis. 89% DV of Vitamin K: A fat-soluble vitamin that allows for activation of enzymes in the clotting cascade, which is responsible for blood clotting. Also builds bone by modifying osteocalcin so that it may bind calcium, thus building the bone matrix. 13% DV of Vitamin E (a.k.a Tocopherols and Tocotrienols): A fat-soluble antioxidant that fights against potentially damaging free radicals from reacting with oxygen when fat is metabolized. 11% DV of Folate: (Vitamin B9): A water-soluble vitamin that helps make DNA & RNA and metabolize amino acids.